Thank you for your patience as we’ve been processing orders as fast as we can! We’re first shipping a batch of standard black pedals, then will be circling back for custom colors. So far so good on the shipments, and people seem happy with the result. If you’ve received an email with an order balance, please respond ASAP. Even if you’re unable to pay the balance right away, it’s helpful to know that so we can plan accordingly. Note: We still have some spots left in the run, even though the stock is indicated as Backorder. This is to prevent confusion for those who assumed their pedal would ship immediately… The longer you wait to place the order, the further back in line you’ll be located. Best to get into the queue with the 10% deposit option as soon as you can. We added Flat-Rate FedEx 2-day for USA folks, which will be the preferred shipping method. For those who ordered with more expensive options selected before, we will determine the best method and refund the difference on your order balance when it comes time to ship. If a good shipping option and reasonable price is not calculating, please select the Defer Shipping method and we will manually calculate the best shipping cost at the time of shipping. International customers, please feel free to contact us for a quote. The Ceres™ preamp, the newest addition to the KSR line, contains our signature tones from three of our amplifiers – the Ares, the Artemis/Gemini, and the Colossus. Ultimately, the Ceres™ preamp distills our KSR sound into a small package. At only 5.7″ x 4.7″, it features many of the same functions present on all our amps — such as the Mode, Feel, and Bright switches. Moreover, this pedal provides the ultimate mobile tone versatility from weekend gigs to fly rigs. 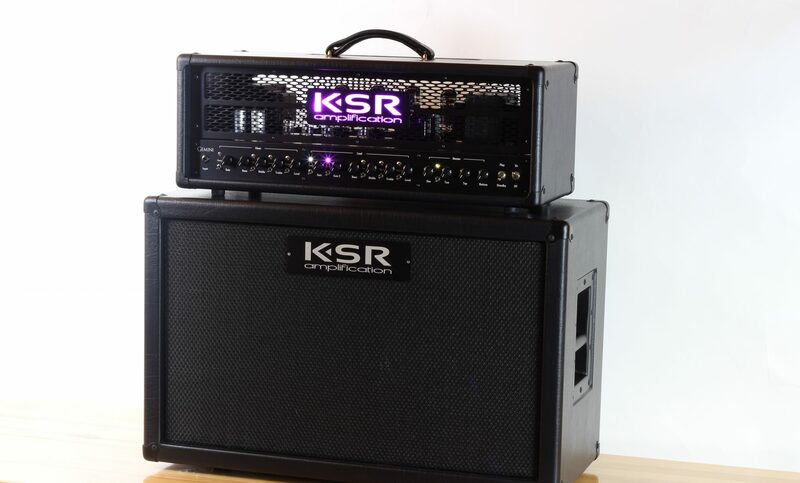 It also delivers the KSR signature sound to any board or interface for live and studio applications. Top mounted jacks allow for easy integration into your existing pedal board. Unique to our pedal operation, we include 3 bypass modes — True Bypass, Buffered Bypass, and Clean Bypass. In True and Buffered bypass the pedal operates as expected, no tonal coloration. The Clean Bypass mode enables the top row of Tone and Volume knobs accessing the Clean channel. These various Bypass Modes allow for integration into any style of rig — from driving a power amp directly (Clean mode), hitting a clean amp down the chain on your pedal board (True Bypass mode), or at the start of your pedal board, driving your other pedals into a clean amp (Buffered mode). The preferred operating method is to run the Ceres™ into the input of the effects loop return of any amplifier head or directly into a power amp, but it will also work just as well when run into a clean channel with some EQ tweaking. Time based effects (delay, chorus, flange, etc) should be placed after the Ceres, before the power amp. A simple loop switcher can even be used to create effects loop(s) between the Ceres and power amp. The Ceres includes two integrated footswitch buttons to activate the 3 channels. The left button toggles between Bypass and Rhythm/Lead. The right button toggles between Rhythm and Lead. With the Bypass Mode switch set to Clean, bypassing the pedal actually activates the Clean channel. The gain controls in all channels feature the same range from clean to saturated signals and operate as close as possible to the full size KSR amps. They function without any unwanted top-end artifacts typically associated with solid-state circuits. The Ceres™ EQ options then make for a highly versatile Pre-Amp pedal giving you as much control. Up = On, Down = Off. The switch works just like a typical Gain pot bright capacitor in that the lower the Gain setting, the more the effect. Looking at the front of the pedal, top-right is the external control input, then Guitar Input, 9V DC input, and finally Output to amp. The 9V DC input requires at most 200 mA to function. This is accessible via the high-current output of a Voodoo Labs Pedal Power, or similar. Please do not exceed 9V as the pedal will shutdown to protect the internal electronics. We generate optimal voltages internally, so providing more than 9V is simply not necessary, or possible. The Control port is a 3.5mm (1/8″ headphone) TRS jack that allows control of the pedal channels and future expansion. Simply use an 1/8″ to 1/4″ TRS cable / adapter to connect this to momentary contact closure relays, and you can completely control the pedal, just as you can with the two foot switches. We are proudly manufacturing this pedal completely in our Cincinnati facility. CNC machining, powder coating, laser etching, circuit board assembly are all performed under our roof — no outsourcing.